Unlike the past reviews, this time I have decided to focus on something that is becoming the trend very fast. Being a student I have seen many other students leaving the big bulky laptops and going for minis or net book. So this week, we will try to find out if it’s a system for you or not. This little machine obviously looks stylish. Its compact and small design is definitely worth a second look. 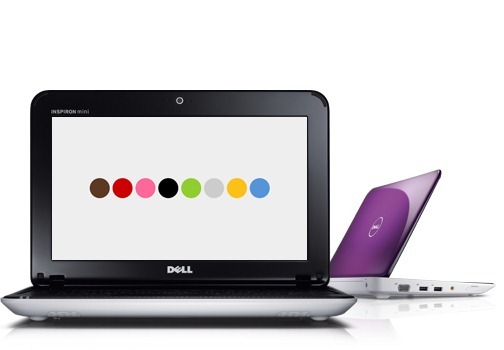 Its design is based on the larger inspiron laptops. The ports and connectors are also placed neatly on the sides. There are no touch buttons on the keyboard like the usual laptops but still has accounted for that functionality in its keyboard keys. In these mini machines, multi tasking can be done but not without difficulty. You can use programs like explorer, MS office and media player at one time but not anything heavier. Basically it can perform multi tasking for programs related to lighter office work only. You cannot even have two parallel installations sometimes. You can not open programs like Adobe Photoshop or any such heavier 2 or 3 programs at a time. It would not generate an error or anything but its performance would be very slow. The laptop is pretty impressive in terms of weight even with a six cell battery. It weighs hardly a KG. The smaller screen size also makes it easier to work for a longer time because it does not cause stress for your eyes. Carrying it around is almost as easy as carrying a cell phone with you. It would fit in a briefcase or a small carrying case with utmost ease. Although I have used many systems myself, but I must say this is one of the best in terms of generating heat – because it does not get even a little hot after working continuously for 3,4 hours. Most of you will have no experience using windows seven starter editions because usually Win 7 Basic or Win 7 Ultimate is used. Starter edition has some features missing as compared to other more expensive editions. I am not sure about how much starter costs or if it’s even available but Win 7 Basic costs Rs. 7,500 and Win 7 Premium costs around Rs. 9,000. Some of the missing features are as weird as not having the ability to change your wallpaper. This thing, not being a problem, can be irritating for many users. There are some preinstalled software like Win 7 Starter, McAfee Anti virus and the basic programs that come preinstalled. In terms of software, this machine is not much to talk about. The speakers are somewhat small but are good in terms of quality. Sound is usually not an issue and there is a headphone jack too in case you like to use head phones. It is a good system for office, home and business applications but only if you don’t have to run very heavy programs. Whats with the heading ‘no multitasking’? Are you serious? 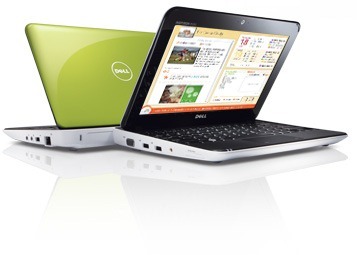 It comes with Windows which allows you to run multiple softwares. What Explorer? What Media Player? And then there are severe problems with punctuation. Firstly please read the part about photoshop again because i dont think you got the point. It did not talk about opening the same program twice or thrice. Multi Tasking DOES NOT mean running two programs at the same time. Please improve your knowledge on the subject. Starter editions have limited multi tasking functionalities. Explorer and Media Player mean Internet explorer and Windows media player but maybe new users like you can face difficulty in identifying the software correctly. Also Netbook is not specifically for using internet only, maybe you will want to read more on that subject too. Please be kind and logical in your criticism. The reviews are meant to help people decide what they want to buy. I agree with all your points. Everybody knows what an explorer or a media player are! I ve one request, pls give the link of an online shop when u give the review and price too. You can checkout prices from galaxy.pk, uplinkcomputers.com and itmart.pk. I have listed the price. In future i will also include online purchasing links. Thanks. No offence dude but you saying ‘Explorer’ to mention ‘Internet Explorer’ does not make any logical sense and is quite misleading. I hope you know there is ‘Windows Explorer’ and ‘explorer.exe’. Multi-tasking in layman’s language means ‘multiple ways of getting your work done’. Netbooks are excellent multi-tasking machines if you get Windows XP or Linux installed. Plus, you did not mention in your Multi-tasking paragraph, anything about Windows 7 Starter. However, you have misinformation yourself that Windows 7 Starter is not limited in multi-tasking. 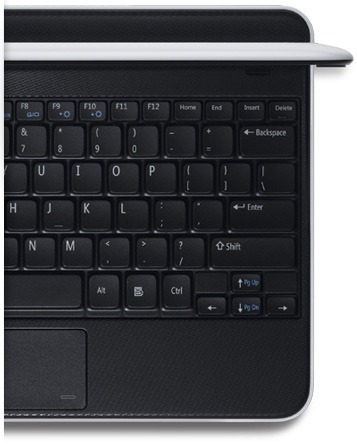 Netbooks are internet-oriented machines. You can type an email or your assignment or chat. You cannot make art-pieces unless you install Photoshop 7 on it. Reviews are there to tell as it is. The one you wrote is quite negative in my perception. I would recommend that you read reviews more closely. what so ever so say, i would just add one thing..
for documentation and browsing, this is nice ..